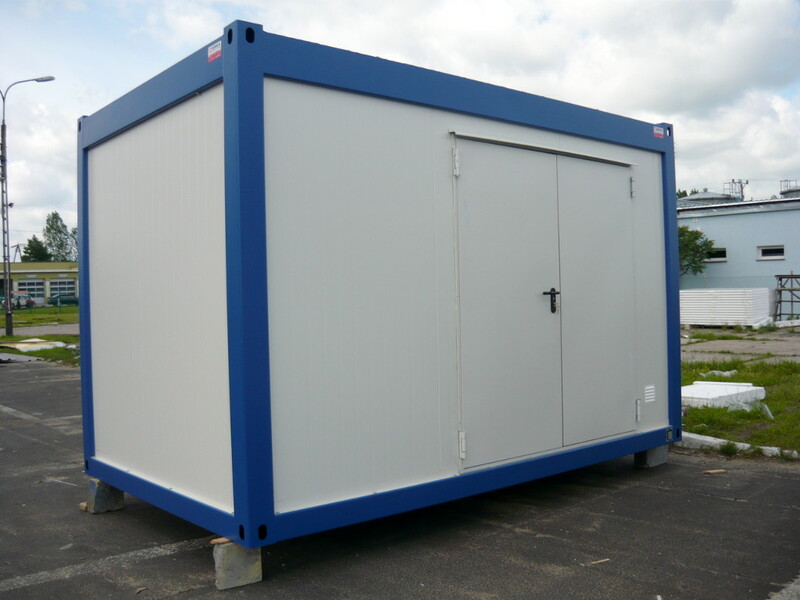 Specialized containers find their applications in various industries. 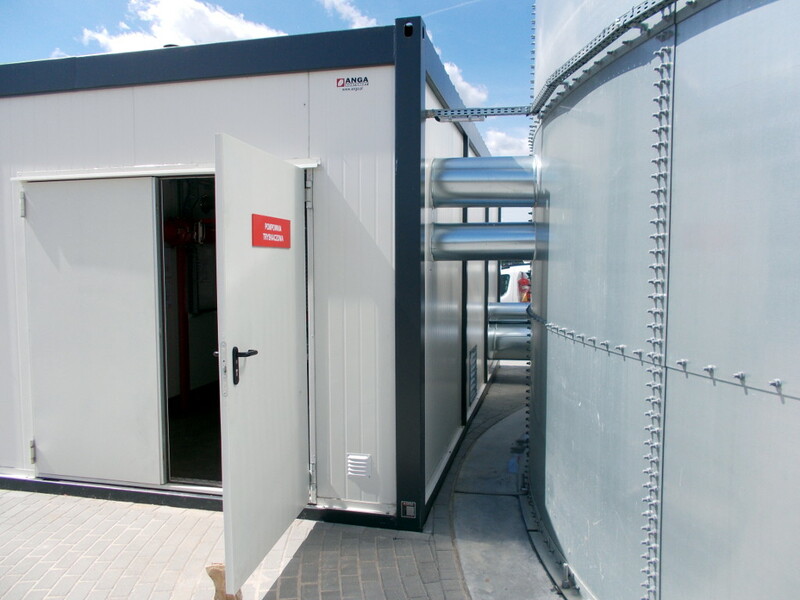 One of the possible applications consists of an insulated floorless containers used for pumping station construction. 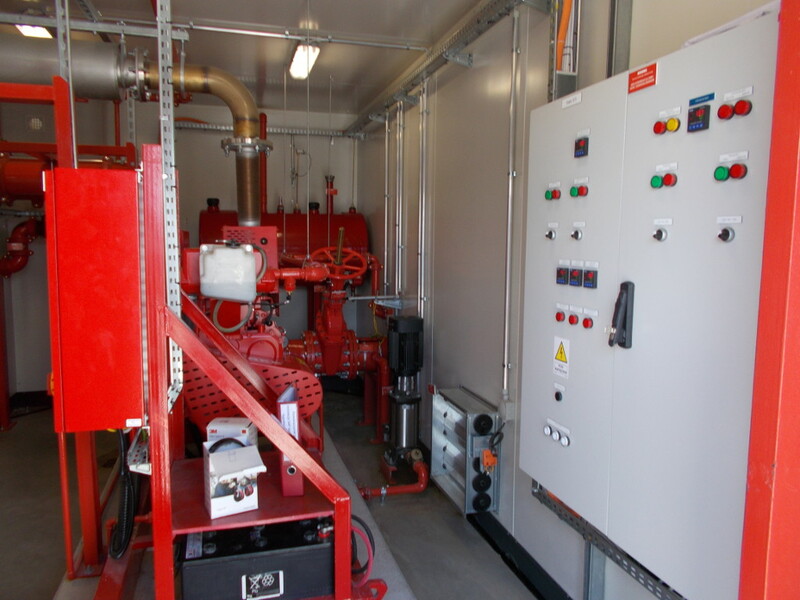 Have a look at an example container project for pumping station. 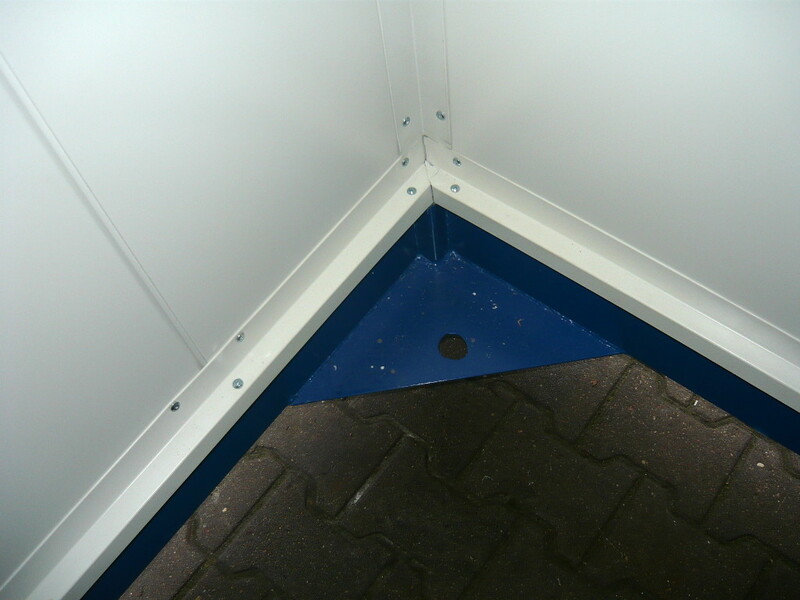 The container has no floor and it needs to be placed on previously prepared subsoil. 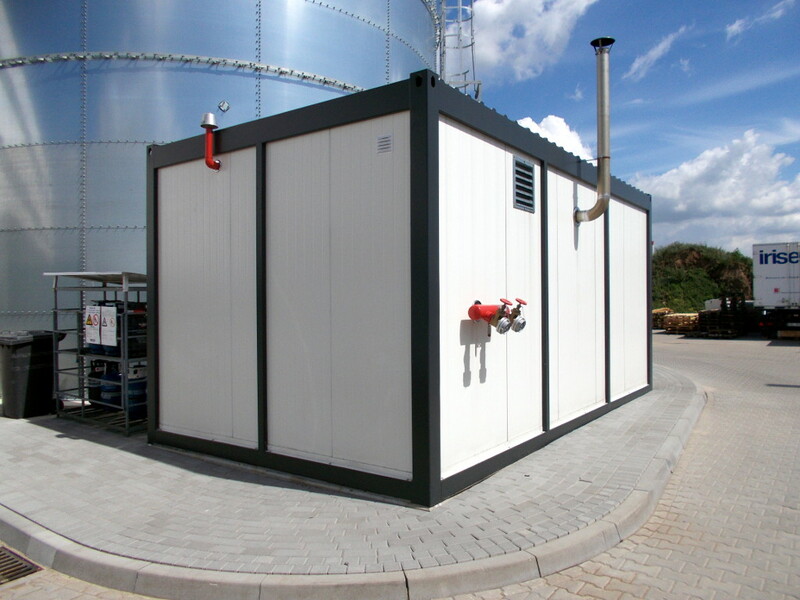 Container walls are made of sandwich panels. 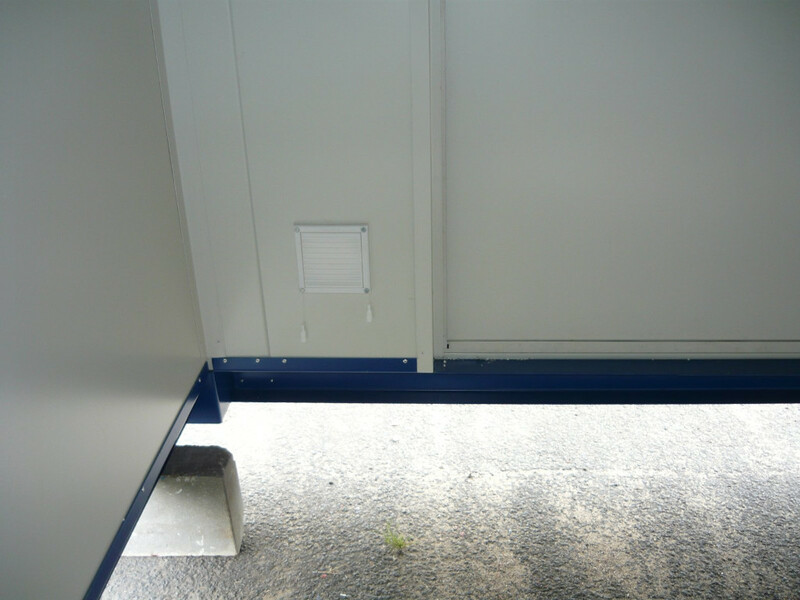 Air intake has been assemble at one of the walls, and an exhaust fan at the opposite one. Detailed container drawing is available at the bottom of the page in "Download" section. 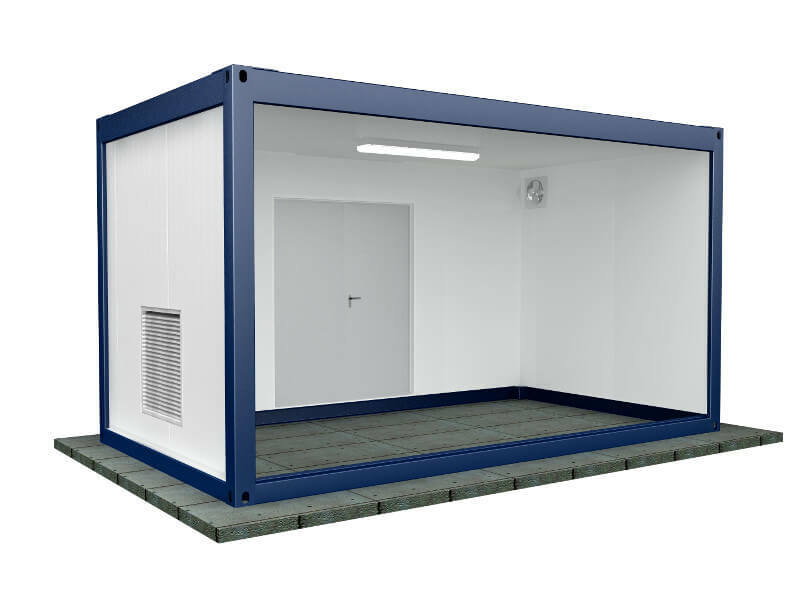 Standard size of a single containers is 6 m x 2.4 m. Maximum possible size is 8 m x 3 m. For atypical sizes please contact our Sales Department..
Container walls may be insulated with Styrofoam or mineral wool of 75, 100 or 150 mm, or with 80 or 100 mm polyurethane. Floorless container is put on a subsoil prepared by the ordering party. 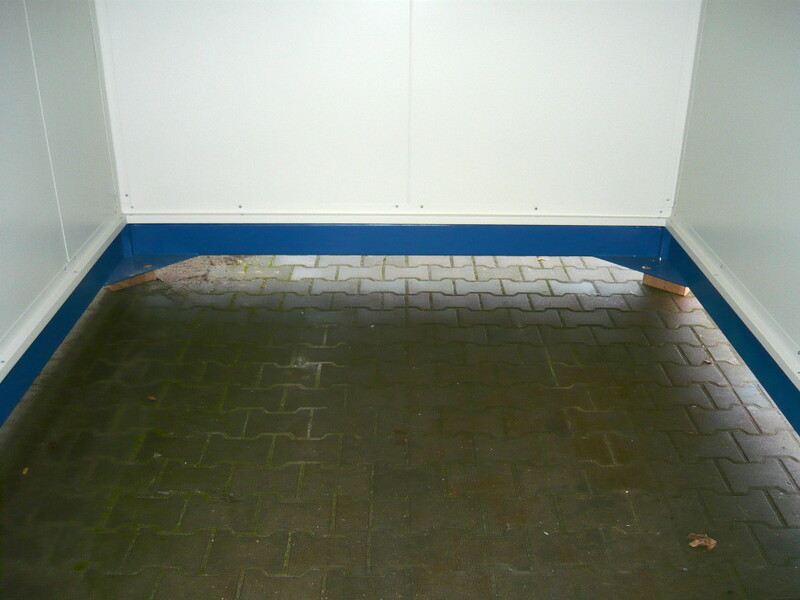 Possibility of assembling intakes, outlets, ventilation grids, culverts in walls, revision doors etc. 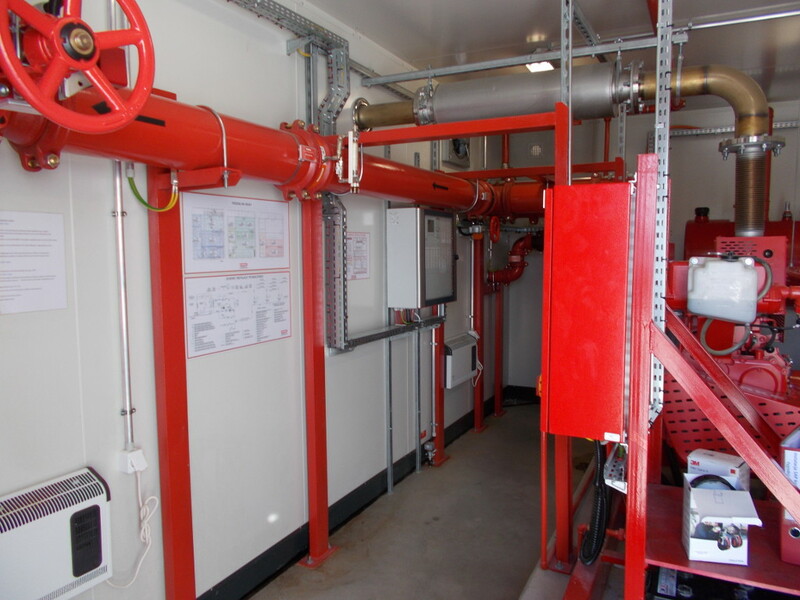 Electrical installation, lighting, electrical heaters, exhaust fans, additional three-phase sockets etc.